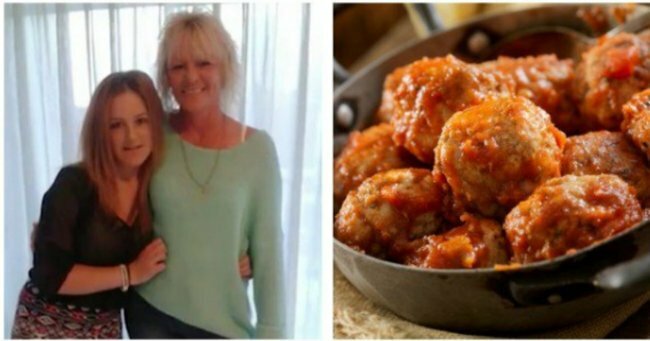 Melbourne mother and daughter allegedly served father poisoned meatballs. A woman who allegedly served her husband poisoned meatballs has appeared in court. Joanne DeBono, 53, is alleged to have laced her husband’s meatball dinner with 75 crushed temazepam pills before injecting him with a chemical cocktail. Her 19-year-old daughter is also accused of assisting her mother try to murder her father, Stephen DeBono. Police say Mrs DeBono confessed to trying to kill her husband on March 12, but yesterday Ms DeBono and her daughter, Shannon, fought the charges in the Melbourne Magistrates’ Court. It is alleged that in March the 58-year-old mother of one bought 75 temazepam pills from three separate pharmacies. She is said to have crushed them into a fine powder then mixed them in her meatball mixture that she then served up for dinner. Mrs DeBono allegedly watched him eat the entire meal. Detective Acting Sergeant James Marsden told DeBono’s bail application that her husband feeling groggy after the meatballs went to lie down. The Herald Sun reports that while he was resting Mrs DeBono went to the garage and mixed brake fluid, metal lubricant and weed killer into a hypodermic needle. She then crept back into their bedroom where she injected her sleeping husband with two millilitres of the cocktail, but he woke up and asked what she was doing. DeBono, who claims she was a long time victim of domestic violence fled the house running with her daughter to safety. Mrs DeBono allegedly watched him eat the entire meal. Image via IStock. The two, mother and daughter went to the police station where they confessed. Police went to the home and found Mr DeBono still in bed – paramedics rushed him to hospital. They found the empty temazepam packets, the syringe, a mixing bowl, bottles of brake fluid, weed killer and the penetrene. Mrs DeBono told police her husband had physically and emotionally abused her for 25 years. On the phone of Shannon DeBono they found voice recordings of Mr DeBono making threats to DeBono. The Herald Sun reports that while in hospital Mr DeBono is alleged to have told medical staff when he was released he would kill “everyone who did this to him”. Joanna DeBono and her daughter Shannon are charged with attempted murder and intentionally causing injury.